There is a small lid underneath the cap. 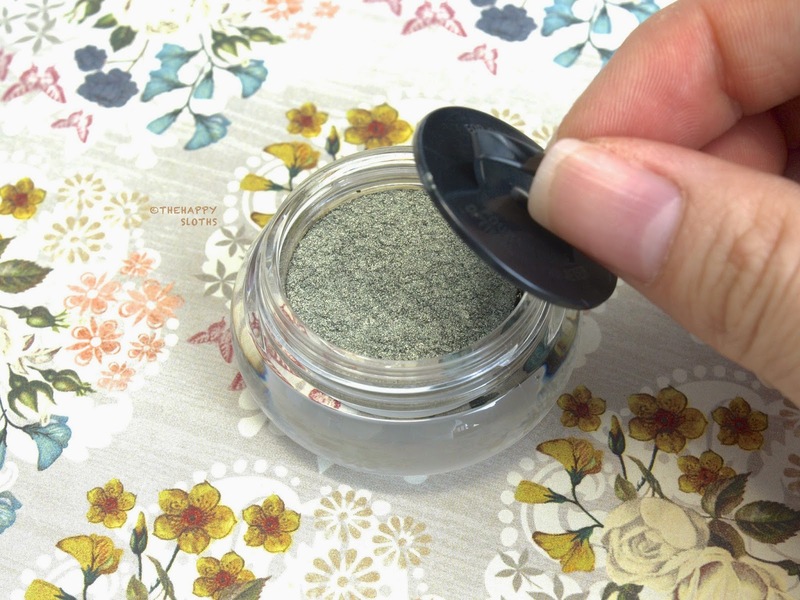 The eyeshadow comes in an adorable little glass jar with a twist off cap and a small plastic lid resting on top of the shadow after you twist off the cap. 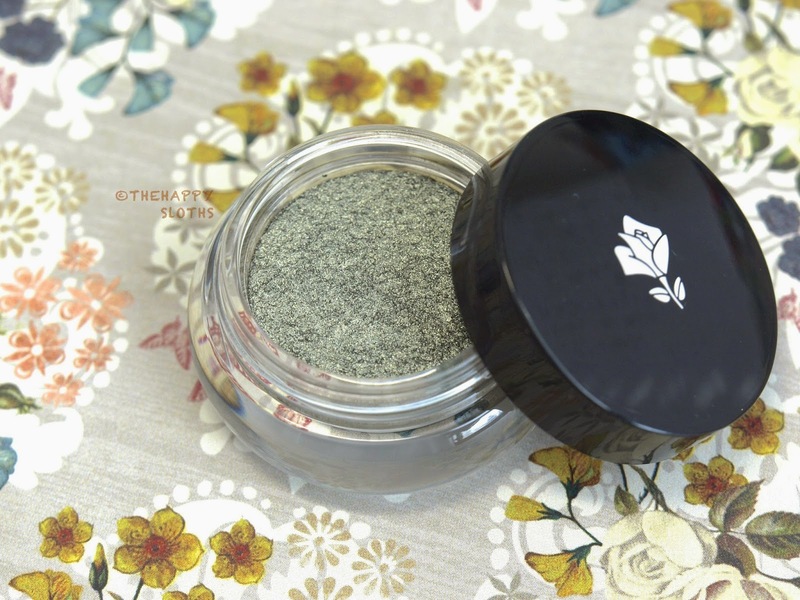 502 Absolute Jade is a gorgeous metallic khaki green with the most beautiful pigmentation. The formulation is one of the smoothest, most pigmented one I have ever tried. The color goes on effortlessly and blends very well and the finish is satin-y, almost foil-like! The product is a powder but it almost feels like a moist cream during application. I used this shadow without a primer and I could feel that the shadow really clings to the lids. I cannot attest to the 24 hour claim but I know this color does not wear off unless I remove it at the end of the day. "502 Absolute Jade" swatched on bare arm, no primer used. 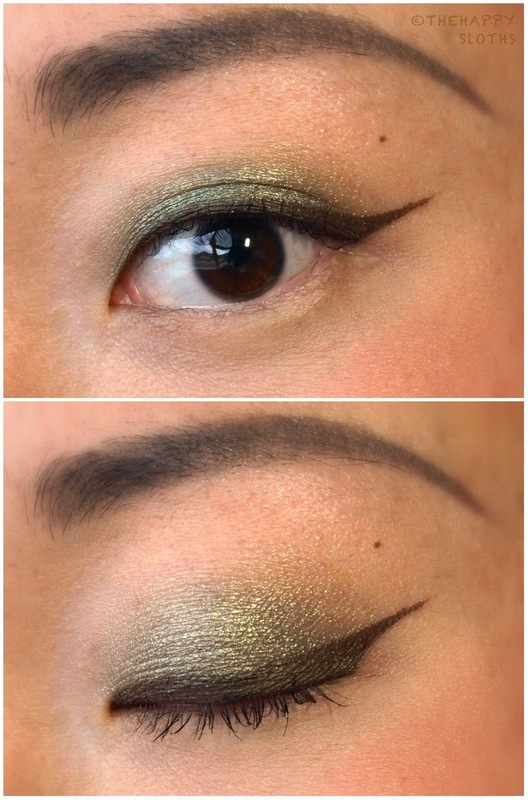 Here is a simple look I did using only the shadow (no primer) and some brown gel liner from Maybelline. Notice how nicely the shadow blends! The Lancôme Color Design Infinité Eye Shadow are available at Sephora and other department stores. 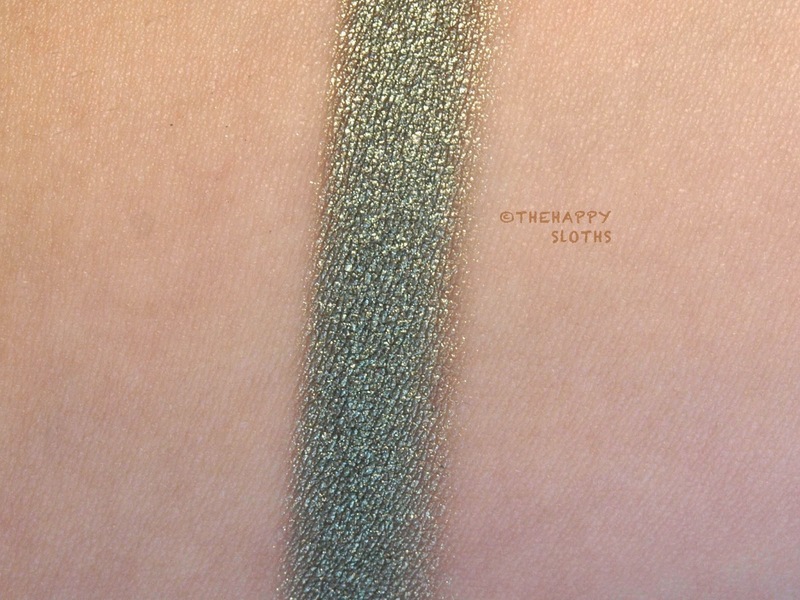 This is one heck of an amazing shadow and I highly recommend it to anyone looking for good pigmentation and lasting wear! 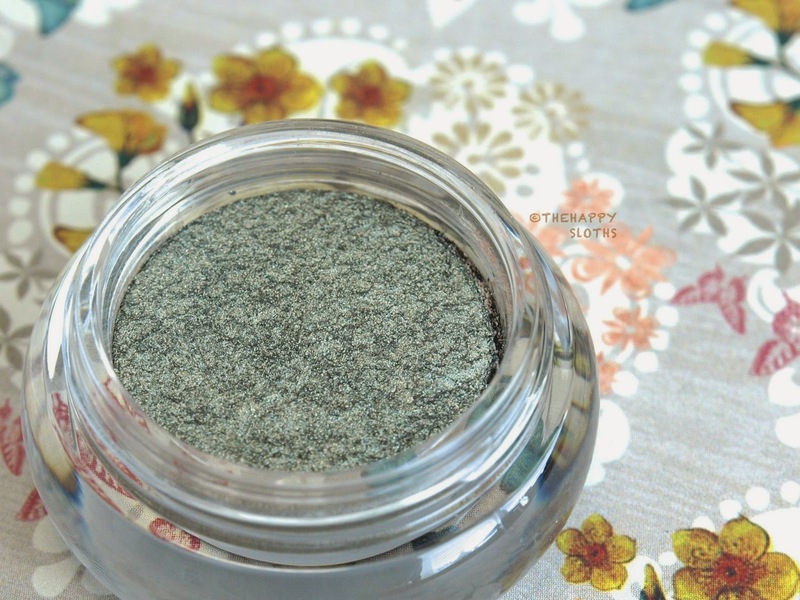 Have you tried these before, are you a fan of these single eyeshadows in individual jars? Let me know in the comments below!